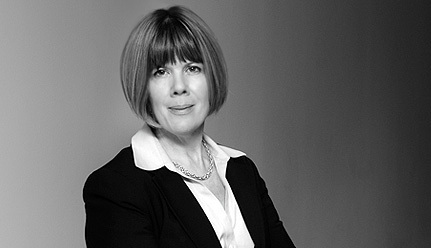 Rebecca Beynon has extensive experience in pre-trial and trial proceedings, and tried a number of cases to decision before juries, judges, and administrative adjudicators. She has represented both plaintiffs and defendants in class action and complex commercial litigations, patent matters, and antitrust cases, as well as clients in criminal and civil regulatory investigations conducted by Department of Justice, United States Attorneys’ offices, the Securities and Exchange Commission, and state Attorneys General. Ms. Beynon clerked for U.S. Supreme Court Justice Sandra Day O’Connor from 1996 to 1997 and Judge A. Raymond Randolph on the U.S. Court of Appeals for the D.C. Circuit from 1994 to 1995. She graduated in 1994 from the University of Texas School of Law, where she was first in her class and served as an editor of the Texas Law Review. Ms. Beynon holds a B.S. and M.S. in chemical engineering, and worked for two pharmaceutical companies as a research engineer before attending law school. In the Matter of Certain Electronic Products, Including Products with Near Field Communication, No. 337-TA-950 (International Trade Commission): Represented Dell, Inc. in against patent infringements claims brought by NXP Semiconductors. Oversaw the preparation of an expert report concluding that issuance of an exclusion order would be against the public interest and inconsistent with NXP’s obligations to license the patents on reasonable and non-discriminatory terms. In re Bank of New York Mellon Forex Transactions Litigation, MDL No. 2335 (S.D.N.Y. ): Defended The Bank of New York Mellon in a number of lawsuits and investigations alleging that the bank violated federal mail and wire fraud laws, federal securities laws, state False Claims Acts, and fiduciary and contractual duties, in connection with foreign-exchange services it provided its customers. Claims against the bank based upon the False Claims Act and its state-law counterparts were dismissed in Virginia state and California federal courts. After the parties conducted extensive discovery, the parties reached a settlement favorable to the bank. BT Triple Crown Merger Co. v. Citigroup Global Markets, Inc., No. 08-600899 (N.Y. Sup. Ct.): Represented private equity funds Thomas H. Lee Partners and Bain Capital in much-publicized multi-billion-dollar breach-of-contract action against six banks, arising out of the banks’ refusal to honor their commitment to finance the Clear Channel Communications leveraged buyout transaction. Expedited discovery was conducted in less than six weeks. Immediately before trial in New York state court, our clients prevailed on their argument that specific performance was an available remedy. The parties settled shortly thereafter, with the banks agreeing to finance the transaction. In re Certain Baseband Processor Chips and Chipsets, Transmitter and Receiver (Radio) Chips, Power Control Chips, No. 337-TA-543 (International Trade Commission): Represented Verizon Wireless in remedy phase of International Trade Commission proceeding, in which Broadcom sought an exclusion order against Verizon Wireless’s devices containing Qualcomm’s technology.